A file with the HQX file extension is a Macintosh BinHex 4 Compressed Archive file that's used to store binary versions of images, documents, and multimedia files. They used to use the .HEX and .HCX extension. BinHex stands for "binary-to-hexadecimal." The format is used to store 8-bit binary data in a 7-bit text format. Though their file size is larger, corruption is said to be less likely with files that have been saved in this way, which is why HQX files used to be preferred when transferring data over email. Files that have been encoded with BinHex might have a filename like file.jpg.hqx to indicate that the HQX file is holding a JPG file. HQX files are typically seen in macOS systems — you can Incredible Bee Archiver or Apple's built-in archive utility to open HQX files. If you're running Windows and need to decompress an HQX file, try WinZip, StuffIt Deluxe, or another popular file extractor compatible with Windows. Altap Salamander and the Web Util's online BinHex Encoder/Decoder Tool are two other options if none of the above will open the HQX file. If for some reason you're not sure if a file is actually encoded with BinHex, you can use a free text editor to check that the first line reads "(This file must be converted with BinHex 4.0)". If you still can't open your HQX file, you might be misreading the file extension. Some files share common letters in their file extension, like QXP (QuarkXPress Project) and QXF (Quicken Essentials for Mac Exchange) files. 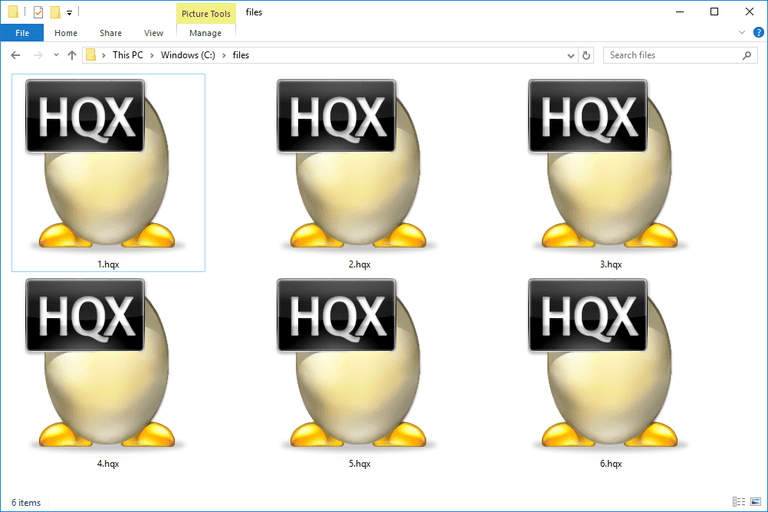 If you find that an application on your PC does try to open the HQX file but it's the wrong application or if you would rather have another installed program open HQX files, learn how to change the default program for a specific file extension. Since HQX files are a type of archive formats like ZIP or RAR, you'll have to first open the archive before you can convert any files inside. For example, if you have a PNG file inside an HQX file that you want to convert to JPG, instead of trying to convert the HQX archive file to a JPG image file directly, just use one of the tools from above that can open HQX files. Once you've opened it, you can extract the PNG out and then use a free file converter to convert the PNG to JPG or some other file format. The same concept is true if you're trying to convert HQX to ICNS, ZIP, PDF, etc. — extract the contents of the HQX archive first, and then use a file converter on the extracted files.